Our packages start at $4,250 and are fully customizable! Head over to our Contact page and let us know exactly what you want, and we will make it happen. It's your wedding day, we want you to remember it like it was yesterday when you show your grandkids! W H A T O U R C O U P L E S A R E S A Y I N G . . . The kindest and most talented people. To watch them work and see the way they care for us and our special day gave us so much peace. My husband and I have so much love for these amazing videographers and are so incredibly thankful they were available for our special day! It is so special to me that we can watch a video from our wedding day whenever we what. If you're engaged and looking for a videographer we highly recommend Kyle and Michelle Scott with Summit Stone Creations. They are so wonderful to work with, they go above and beyond for you. From our highlight video to a sweet keepsake box that they personalized and filled... I could'nt be more pleased with them. Thank you both so much! We love it! When we look back on our wedding day, we think of each other.. then we think of the people who were there with us. Present with us more than our wedding party, more than our families, were Kyle, Michelle, and our Photographers. We cannot express how important we believe it is to only welcome in the vendors that will bring you peace, joy, and laughter on that day. When choosing vendors you often forget that you're choosing people. When we think back on our wedding day, or re-watch our Wedding Film, we are taken back to those moments we see on film. Our moments together, and our moments when the cameras were or were not rolling. I think of Michelle's side comments making us crack up all day, or of Kyle running back to the woods to find our rings that were left behind, Michelle corralling help to find my veil. I'm so thankful we chose well, not only in talent but in the quality of people that served us that day. Kyle and Michelle, they are the best of the best. We have nothing but great things to say about Kyle and Michelle and their videos that captured the best day of our lives. Kyle and Michelle spent all day with us, filming the truest and most important parts of our day. They made us feel incredibly comfortable and brought joy, laughter, and encouragement to all they encountered. They were professional when working with us to set up all the specific details and coordinated wonderfully with our photographer and wedding day coordinators. We have watched our wedding video more times than I can remember and each time we feel the same emotions we felt on our special day. Having Kyle and Michelle as our videographers, along with the memories they helped create, were some of the best wedding gifts we received. We have watched our wedding film more times than I can count. Each time my eyes are filled with tears and I am flooded with such happiness. The only other people that might be close to watching it more times than us would have to be our moms :) They continually rave about it. Kyle and Michelle captured not only the events of the day but the emotion and love Clint and I have for each other. This is something we will always treasure and I look forward to showing our future children and grandchildren. Kyle and Michelle are the perfect team. They are professional, genuine, kind, easy to work with and most importantly are extremely passionate about their work. Their talent in this industry cannot be summed up into words, they are truly that good at what they do. 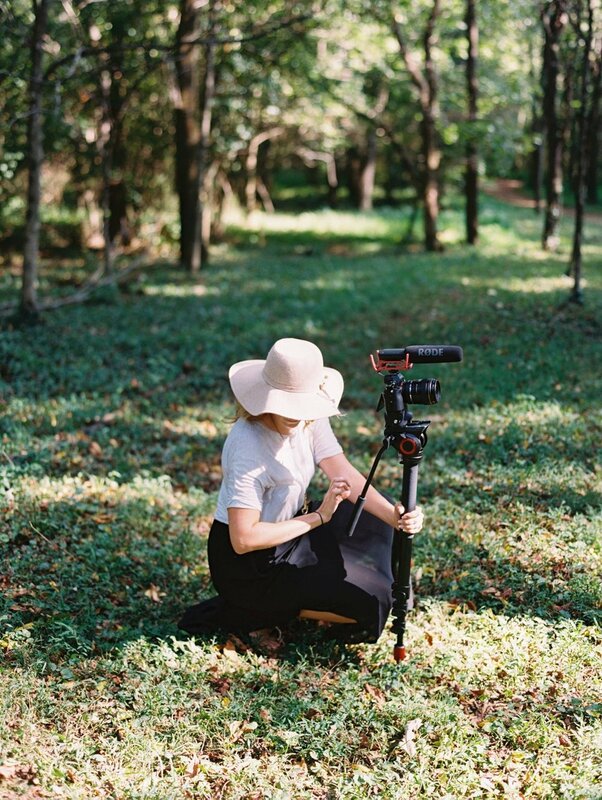 At first I was reluctant about using a videographer (I typically hate the way I sound in video and feel like photos are more forgiving). But now, over a year later, I still stand firm and say it was one of the best decisions we made! Our pictures are an absolute treasure, but our video lets us relive our wedding day in the most incredible way. Every time I watch it I am transported back to our day, and the flood of emotions wash over me again. When you hire a vendor like Kyle and Michelle, you not only hire their creativity, you hire them. You hire their personality for the majority of the most important day of your life. Kyle and Michelle were a dream to work with. They are kind, gentle, supportive, and the MOST encouraging team. They collaborated with our photographer, family, and friends beautifully. I truly felt like our wedding day was as special to them as it was to us. I cannot rave about them enough, they are the absolute best!